In the age-old battle of old verses new, who will win the ultimate showdown? The Ancient Egyptians often called upon their Gods for strength during times of adversity, and the modern day Generals used their vast technology and modern-day weapons to achieve victory. A mysterious portal has appeared, and by passing through the Stargate you and your teammates will be transported between millenniums. 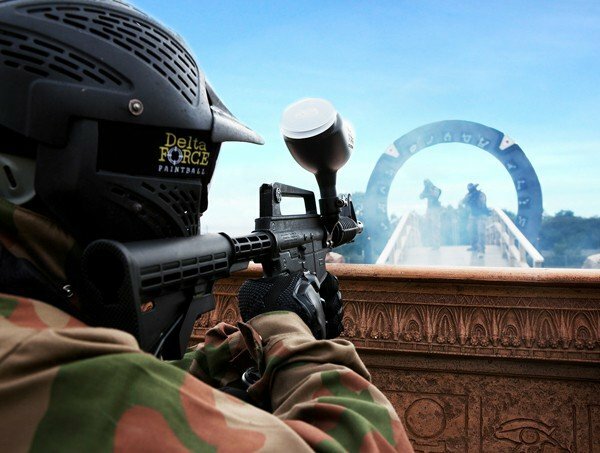 Your mission is to gain supremacy over the two worlds and seize full control of the Stargate. However, only the most ferocious will be victorious. Will the old or new win this battle? There’s only one way to find out! There are a number of barricades and bunkers to take refuge in as you move up the field in order to take control of the Stargate. Keep low as you move and ensure you communicate with your team as you move up the flanks and take out the opposition one by one.